The graphics settings are unremarkable and consist of your standard set of graphics options: DOF, shadows, texture quality, etc. However, unlike most graphics settings, Mechs & Mercs: Black Talons' are applied instantly, allowing for real-time feedback on your changes - when they apply at all. While we'll get into this later in the article, we now move on to the performance analysis portion. This simple graphics effect emulates how a camera lens works by blurring objects which are outside of the lensâ€™ focal point. Modern depth of field effects, mostly used by games with DirectX 11 or higher, blur both objects close to and far away from the camera. Older depth of field effects, like the one Mechs & Mercs: Black Talons utilizes, only blur objects far away from the camera. This effect has no bearing on gameplay save for a few scenes, such as the mech configuration screen. Unfortunately, the effect is very costly, with a performance difference of 17.8 frames per second. Given how little Depth of Field is used in Mechs & Mercs: Black Talons, this effect should be left off. FXAA is a form of anti-aliasing (AA) which is performed after a scene is rendered by your GPU, but before itâ€™s output to your computer monitor. I wonâ€™t go into further detail - PCGamingWiki already has an excellent article on AA - but we will say this: Mechs & Mercs: Black Talonsâ€™ implementation of FXAA results in a major quality hit. As you can see, the image becomes very blurred compared to the original image - especially noticeable when looking at thin objects like thin foliage. Thankfully, this issue is easily-bypassed by forcing anti-aliasing in your GPU control panelâ€™s application settings. If you do wish to use the game's implementation of FXAA, the performance difference is minor, so it can be enabled without concern for framerate. Water Effects is a very simple feature which mimics how water reflects objects and terrain around it. While the performance difference here is a noticeable 12.7 frames/sec, it does provide a noticeable visual punch, so we recommend you go with your own preference. Battle Damage determines whether things like craters from explosions appear on the terrain. Note the barely-noticeable crater on the ground - this is unfortunately representative of how rarely this effect is utilized, even in heavy battle scenes. Bizarrely, our testing shows battle damage actually increases performance rather than decreasing it! Given as there should be no reason why adding an effect this simple should increase framerate, weâ€™ll assume this is either a quirk in Unity 4 or indicative of a bug with the game. Terrain Detail is supposed to determine whether environment details like roads appear, but as we have noticed absolutely no difference, visual or otherwise, when this setting is changed, this review will ignore it. Texture Quality is less an effect and more of a toggle between using low-resolution textures for everything. As shown by the above benchmark, turning off texture quality locks the framerate to 60 frames per second. It should be all of Expack3â€™s monitors only support a maximum of 60Hz, so turning off texture quality could actually be forcing V-Sync, meaning a higher refresh rate would translate into a higher maximum framerate. The Shadows effect should be self-explanatory - this allows objects and terrain to cast and receive shadows. For such a key effect, shadows in this game are also among the most costly with a performance difference of 14.1 frames per second! While we nonetheless recommend you turn on this feature, beware the performance cost. The graphics options used in Mechs & Mercs: Black Talons, as mentioned earlier, instantly take effect as soon as you change their values. However, there is currently an issue with settings which prevents them from being changed at all unless you manually change them yourself using the gameâ€™s registry entries. This could be a major issue should the game chooses default settings which don't match your graphics card's true performance capabilities. 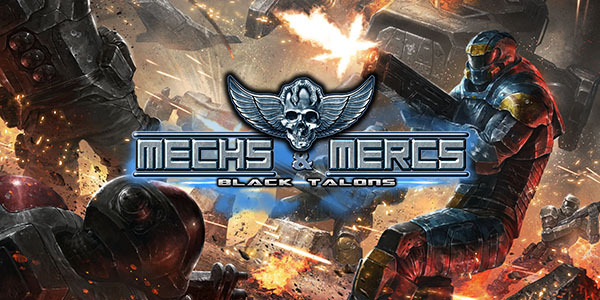 As Mechs & Mercs: Black Talons is heavily mouse-driven, its controls are very limited. Strangely, the game seems to support a very specific set of keyboard keys - many keys on Expack3's American English keyboard were ignored, including most of the QWERTY keys, both Shift and Alt keys, and as the Right Control key. Furthermore, changing the key values in the game's registry entries to correct values did nothing. Unlike the rest of the settings, the audio settings simply work. Music volume adjusts the music volume, while SFX volume adjusts everything else. Mechs & Mercs: Black Talons is a good-looking, but mostly-unremarkable, buggy, and unoptimized video game graphics-wise. There arenâ€™t many effects, and what effects are here are extremely common, if not expected, in other games, yet tend to cause large hits to your framerate when enabled. The developer is working on patching out issues, so these issues and poor-performing effects may eventually be improved.